Christian Frederik was a cousin of the reigning King of Denmark, Frederik VI, and heir to the Danish throne. In 1813 he was appointed Vice-Regent in Norway. His task was to visit all parts of the country in order to strengthen the ties between Norway and Denmark and obstruct the plans of the Swedish Crown Prince, Carl Johan, who wished to make Norway part of Sweden. 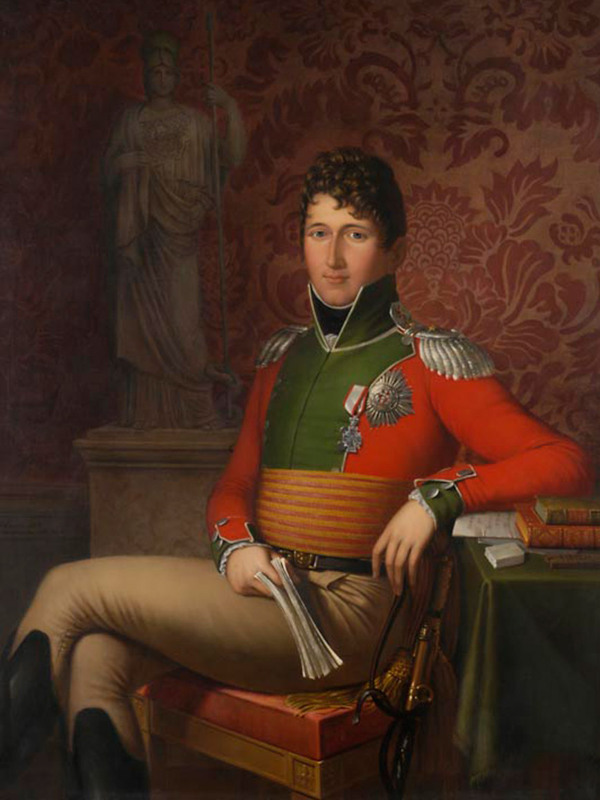 Christian Frederik was smuggled from Denmark through the British blockade (Denmark-Norway had sided with France during the Napoleonic Wars). He arrived at the Norwegian islands of Hvaler on 21 May 1813, and made his way to Christiania (as Oslo was called at the time) the following day. He immediately took up his new office, and rapidly became popular among the Norwegians. On 17 January 1814 King Frederik informed his Vice-Regent of the terms of the Treaty of Kiel, under which Norway had been ceded to Sweden. The letter instructed Christian Frederik to surrender the Norwegian forts and return to Denmark, but Christian Frederik refused to obey. He chose instead to head the Norwegian resistance against the treaty. Christian Frederik intended to have himself made King of Norway on the basis of his position as heir to the throne. However, at a meeting of prominent Norwegians in Eidsvoll on 16 February the same year, Professor Georg Sverderup persuaded him to change his mind by arguing that with King Frederik of Denmarks renunciation of the Norwegian throne, sovereignty had passed to the Norwegian people. Thus a Norwegian king would have to be elected by the people themselves. Christian Frederik convened a constituent assembly, which was held at Eidsvoll on 10 April 1814. The Constitution and the election of a king The assembly spent the period 10 April-17 May drafting a new Norwegian constitution, based on forward-looking liberal and democratic principles. The assembly also decided that Norway should continue to be a monarchy, and on 17 May Christian Frederik was unanimously elected King of Norway. Crown Prince Carl Johan refused to accept Norwegian independence, and appealed to the major powers for support in enforcing the Kiel Treaty. A delegation was dispatched to Norway to negotiate with Christian Frederik but it was unsuccessful. On 29 July Carl Johans forces marched into Norway. Norwegian resistance was soon quelled, and Norway requested a ceasefire. On 14 August both parties signed the Convention of Moss. Christian Frederik agreed to cede power and leave the country. On 10 October 1814, at Bygdø Royal Farm, King Christian Frederik gave up the Norwegian throne, and on 28 October he left the country. In 1839, Christian Fredrik became King of Denmark, where he reigned until 1848.